I’ve been featuring a number of health & wellness entrepreneurs who are at various stages of their entrepreneurial journey. They’re sharing where they’re at right now! Hey there! I’m Sharon, a Registered Dietitian (RD), blogger and freelance writer in health & wellness. I dabble in the world of recipe development and food blogging over at Heart and Stove. Nice to meet ya! My career path has been anything but traditional. Although I did start out following the traditional Dietitian path – undergraduate studies, followed by a dietetic internship and straight into working in various clinical settings. But, hospitals just weren’t my thing. Doing the same thing day in and day out wasn’t my thing either. So, I left the industry for a stint in education until I found myself called back to the wellness world in 2016. However, I had NO idea what that calling would – or could look like. I wanted to get back to working with hands-on nutrition, but more in the form of food, recipes, and information that helped people feel good. You know those “how I got started” stories where your favourite bloggers & influencers share how they got to the enviable place they are today? Ok, yes, I’m poking fun at this commonly heard rags-to-riches blogger story, but there’s truth in that narrative too. It certainly does take time to build a following, an archive of blog posts, and to develop and hone your writing – and, in many cases, your photography skills. But there’s a lot more to getting started in the world of blogging and content creation – if that’s your chosen path to online wellness entrepreneurship. And, if I’m honest, there’s a bit of a messy, even dark side of the entrepreneurial journey – one that affects your mental and emotional health. TRUTH: My blog posts, recipes, photos, and ideas don’t always feel legit. I spend equal amounts of time being inspired and depressed by social media. Yup, not the biggest fan of the ‘ol socials. Let’s face it – food & wellness blogging is a saturated market, where the comparison game is alive and well. Then, just before I go to hit publish, I’ll scroll through Instagram or Facebook (big mistake!) – only to see someone beating me to the punch! I know I’m not alone in this frustration, and you’ve probably felt this way too. LESSON: Share your stuff anyway. When you’re excited and passionate about your content, it shines through. TRUTH: It’s true what they say about voice too – no two people can share the same idea in the same way because we all have unique perspectives and life experiences. LESSON: Remind yourself that no one is YOU and that’s your superpower whenever you’re feeling less-than. TRUTH: If you force yourself to crank out posts or copy trends just because it’s what big-time influencers are doing – it shines through too. You just know when you’re “selling out” – and so do others. Blogging gurus will always tell you that you MUST have a niche and a target audience. In the food and recipe world, there are tons of niches: gluten-free, sugar-free, paleo, keto, vegan…and I don’t fit any of them. For a long time, I let that stop me from creating anything at all. Sometimes, the lack of a label still paralyzes me. If you’ve had your niche nailed down since day one, that’s AMAZING. Be thankful. I like to create simple, homemade recipes with real ingredients. So that’s exactly what I try to do. Sometimes your niche will unveil itself to you as you go along. It might be very well-defined from the start, or you might start with something broader, like mine. The point is…start anyway! Rest assured, your niche will evolve as you and your business do. I thought after a few months of having a blog, I’d be able to start making money from ads and working with brands to create sponsored content. The reality is, there’s a lot to learn before you get to the point where you can start earning any money from creating an online anything! DON’T rely on your blog to generate a livable income right out of the gate. I have several part-time jobs (because, hello bills) while I try my hand at this whole food blogging thing. DO enjoy the process of writing, photographing, sharing, and connecting with new readers and followers. Balancing my time between my paid work, me time (including time with my pooch Max! ), household responsibilities, and social life with this kind of creative work is hard. Also hard: finding a schedule that works, sticking to said schedule, and working from home…where all the distractions live. On top of all that, I don’t always feel like being creative or sharing my life with a bunch of strangers. No offense! Listen, I’m learning this one the hard way – and I’m still learning! But, if you’re building up your online presence for your blog or your business, you’re always learning. There’s no way to sugarcoat this. Invest in your skills. Buy a book, take a course, hire help or outsource altogether. And then, practice. Then practice some more. It’s the only way. But, seriously…we’re talking hours upon hours of solo behind-the-scenes work. There’s lots of trial and error (and banging your head against the kitchen table) when you can’t solve a tech issue. BTW, don’t do that, just ask for help! Find a mentor, coach, counselor, or friend (or all of the above, in my case) who gets it. Like, really gets it. There are also some amazing Facebook groups where like-minded people are hanging out, and where I’ve learned so much, and made friends with fellow RD’s, food bloggers, and photographers. Those groups have also led to other work opportunities I never knew existed (hellooo, freelance writing!). That, in itself, has been a priceless part of my journey. So, that’s been my reality creating and trying to grow my Heart & Stove food blog. It all started with one simple idea that pestered me until I finally made the decision to try it out. If you have an idea that won’t leave you alone, you should probably pay attention to it. That idea is coming to you for a reason. Maybe it’s a calling or a sign if you believe in that sort of thing. Sure, it’s scary. Sure, you’re busy. Sure, you probably won’t know what the heck you’re doing half the time. Find the courage to try anyway. You never know where it will lead. 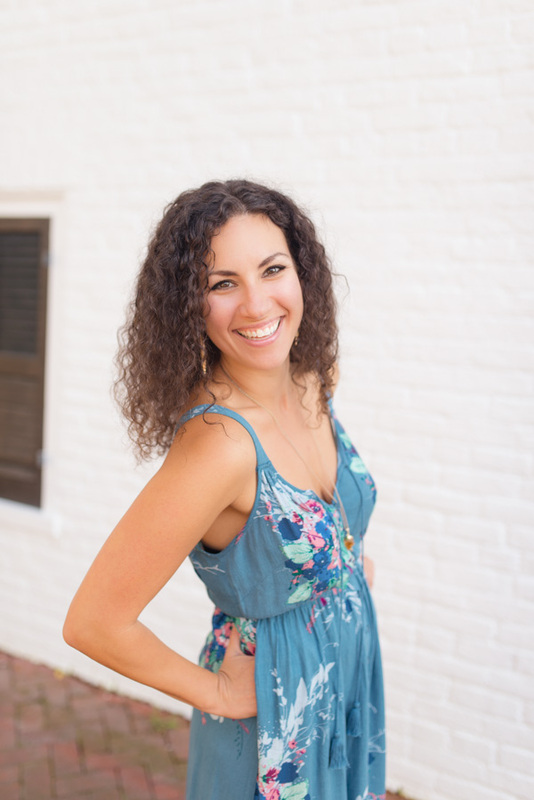 Sharon Lehman is a Registered Dietitian (RD), Health & Wellness writer. 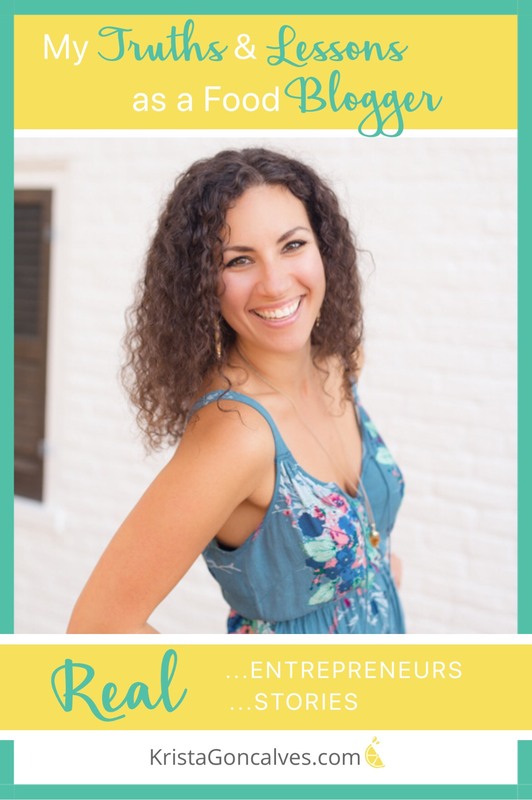 She is the creator and mastermind behind Heart & Stove – where she shares easy-to-follow recipes made with real ingredients to inspire balanced eating. 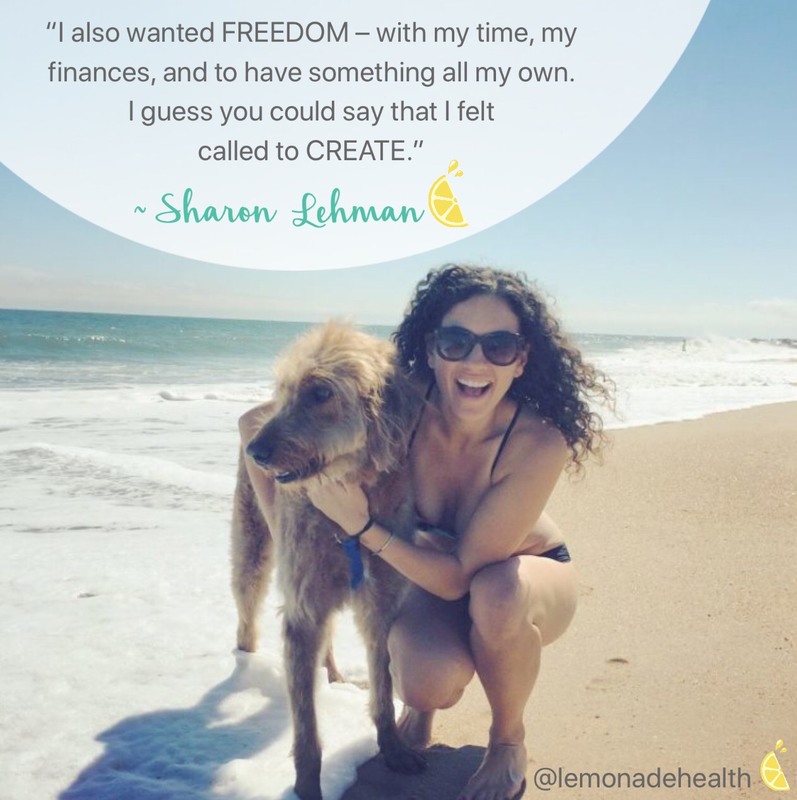 Sharon is also a superstar Content Writer and a key team member of the Lemonade Squeeze Squad. Connect with Sharon on socials too!